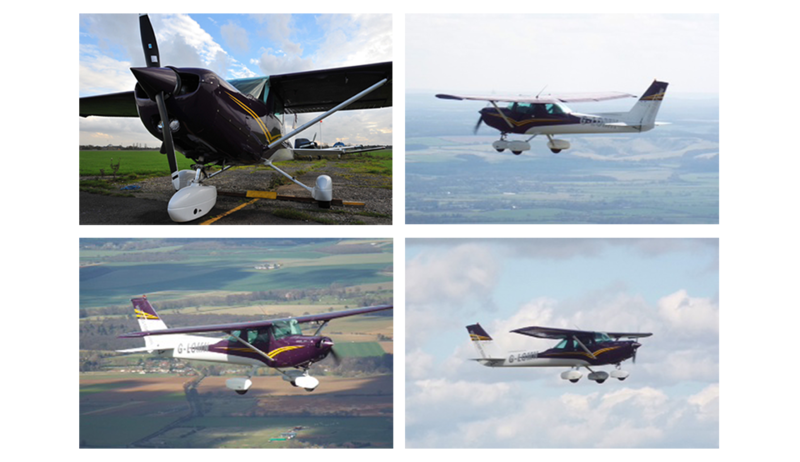 The Cessna 152 was first produced in 1977 and production ceased in 1985 , over 7000 aircraft where produced in this period , the aircraft where fitted with a Lycoming 0235-L2C engine giving 110 horsepower 10 horsepower more than its predecessor C 150 . G-LOMN is the newest edition to the NorthWeald Fleet and was manufactured in 1982. G-LOMN Cessna 152 The odd one out in the NorthWeald fleet because of its colours not the usual white and blue or Dreamliner scheme, this aircraft was purchased in Poland and had been painted in the new Cessna sky catcher colour scheme, everyone seemed to like the paint scheme so we decided not to change it.The sky catcher may no longer exists but the paint scheme lives on with G-LOMN a ideal plane for building hours towards the commercial licence.